March 20, 2019 Robert W.
Building site construction signs can be for compliance with government regulatory agencies, safety, and information. Many government agencies have a say in construction sites and many signs are sometimes needed to be in compliance with all the rules and regulations. Whether it is OSHA, Clark County or another agency , compliance is mandatory and stiff fines and job shut downs can occur when the necessary signage is not posted. Dust permit signs are required in many cases by the Clark County Air Quality Management Board . For construction sites less than 10 acres a 4ft x 4ft dust sign is required and for construction / builder sites greater than 10 acres, a 4ft x 8ft dust permit sign is required. Since these signs are going to be used for a long time, aluminum is the preferred choice to make it last the length of the construction project. Hazard signs can be aluminum and used over and over at different sites, exposed wires, open trenches, hard hat requirements, etc. are universal signs that most often are used over and over again. Special turn signs or route signs can be made with cheaper coroplast / plastic because they pertain only to the job at hand and probably will not apply at other construction sites. Building site construction signs can be custom made for your particular application at local sign stores in the Las Vegas area. These construction signs can be made quickly and many times the same day in cases of government enforcement requirements to keep you in compliance. March 18, 2019 Robert W.
Economy advertising flyer printing in Vegas can get you those cheap double sided flyers you need for your store or business at a great discount. Economy advertising flyer printing can get you flyers printed in single or double sided in full color at a savings to you. These are 1st class flyers printed on 100lb paper with or without a gloss and can have pictures and logos printed on them as well. Economy advertising flyer printing is great for small businesses who like to place a flyer/information about their other products or offer a discount coupon on their next purchase. 5.000 flyers only cost around $160.00 and that just equates to a few pennies for an opportunity to get repeat business. The owner of the stores merely place a flyer in the bag when their customers purchase items. Economy advertising flyer printing is also great for getting new business. Businesses will use these cheap, inexpensive flyers as a way to try to lure in new customers. They will be passed out at conventions, trade shows , swap meets, be placed on doors to houses, etc. In fact. many local stores ( whose customers are entirely made up of the surrounding 1 mile or so, will distribute flyers on a regular basis to every single residence within a mile of their store notifying them of their specials or products. Landscapers are famous for passing out flyers to neighbors of residences they maintain in order to get more customers. Often, they will offer a discount because their service trucks and men are already their doing one residence and it saves on travel time and costs. Take advantage of the many reasons to use flyers for your business or event. These inexpensive flyers offer a old school approach to advertising at a low cost. Contact your local printer today. March 17, 2019 Robert W.
Las Vegas cheap wood or metal real estate signs can save you and your real estate firm a lot of money. After all, why should you have to pay for expensive yard signs when you can get them made locally in Las Vegas at discount prices. Cheap wood or metal real estate signs are made with MDO board and aluminum and come with full color prints ( including your picture) but at a fraction of retail pricing. 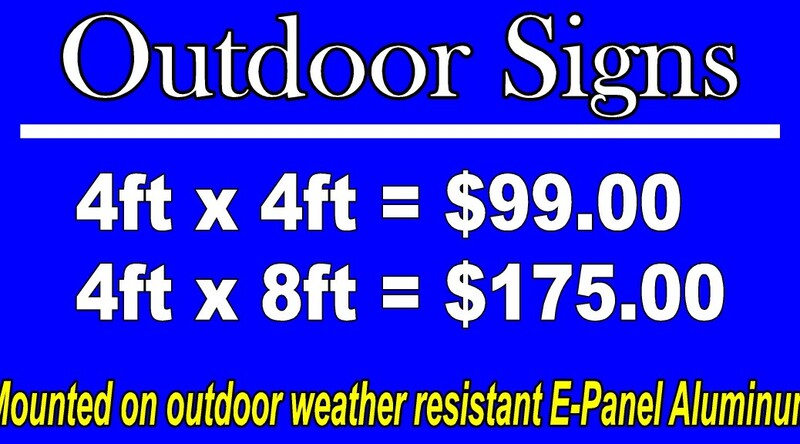 The standard real estate sign is made with .040 aluminum and is 18″ tall by 24 inches wide. They are double sided signs with grommets placed 16″ centered on the sign at the top and bottom for hanging purposes. ( the bottom grommets support a rider installation ) These aluminum signs can be made in different custom sizes to accommodate real estate agent’s needs. The MDO wood signs are generally for commercial properties that are for sale or for lease. These signs are quite larger ( usually a 4ft x 4ft sign or a 4ft x 8ft sign) and are placed with heavy duty support posts to hold them up and withstand the intense winds that Las Vegas gets from time to time. 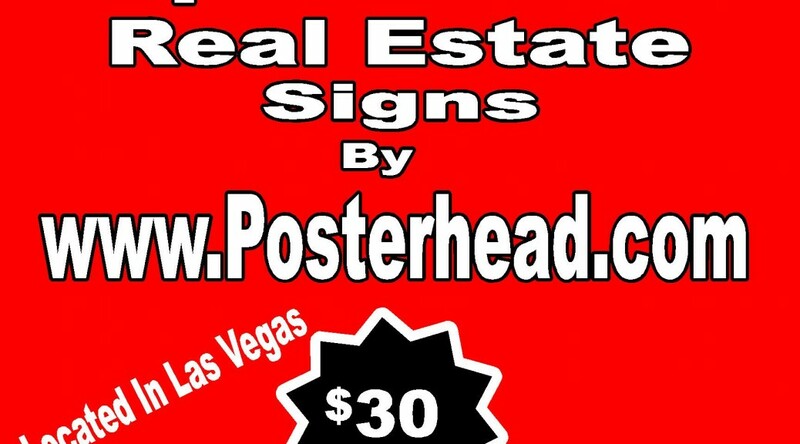 While online real estate sign companies get $50 and up ( includes shipping costs to Las Vegas ) for a standard 18″ x 24″ aluminum real estate sign, local sign stores charge around $30.00 for a 18″ x 24″ sign and some of them offer discounts from that low price to GLVAR members. Quantity discounts are also available for many signs purchased at one time. 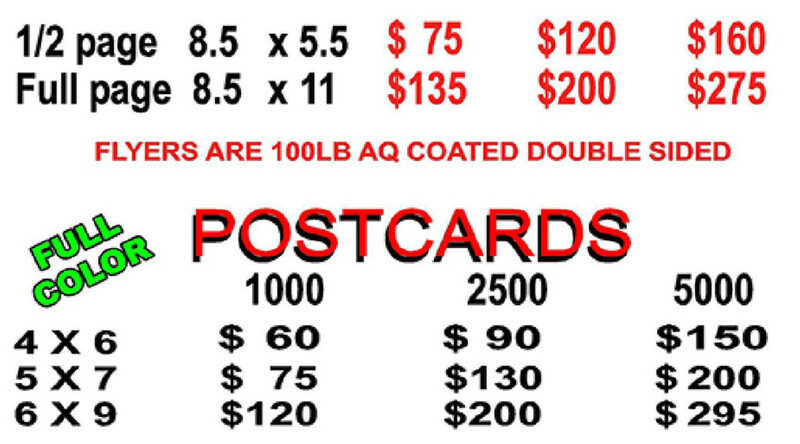 Heavy wood MDO signs are generally made locally because of the cost of shipping signs into Las Vegas. Cheap wood or metal real estate signs be designed and printed by local sign stores in the area. Contact a sign store close to you and take advantage of cheap signs that are high in quality. March 6, 2019 Robert W.
Custom No Trespassing Signs NRS 207.200 in Las Vegas can get you the correct Nevada Revised Statute for trespassing sign needed for protection of your property. Custom No trespassing signs NRS 207.200 will be custom made to whatever size you need so that you get the right sign for the job. In today’s litigation happy society, it only makes sense to protect yourself with a cheap no trespass sign. Custom no trespassing signs NRS 207.200 can be any size. Clark County Nevada ( Las Vegas and Henderson ) like the bright orange no trespassing sign that also has the no dumping warning and civil codes on it as well. The bright orange color is easy to see and Las Vegas Metro Police Dept. easily identifies the signage by its distinct orange color. Construction sites like these custom no trespassing signs because they can post them on the property and if unwanted people come onto the site for trespassing or vandalism, they can call the Police and enforce the Nevada Revised Statute against them in order to protect their property. The no trespass signs also help them with their insurance, because compliance and prevention help keeps the insurance premium down. Clark County No trespassing signs are also great for vacant land where the homeless like to set up encampments and occupy your property. Other than being unsanitary, the mess that is left on the property is enormous. Having no trespassing signs posted on the property will allow the Police to keep people off your property, lower your liability and protect your investment. 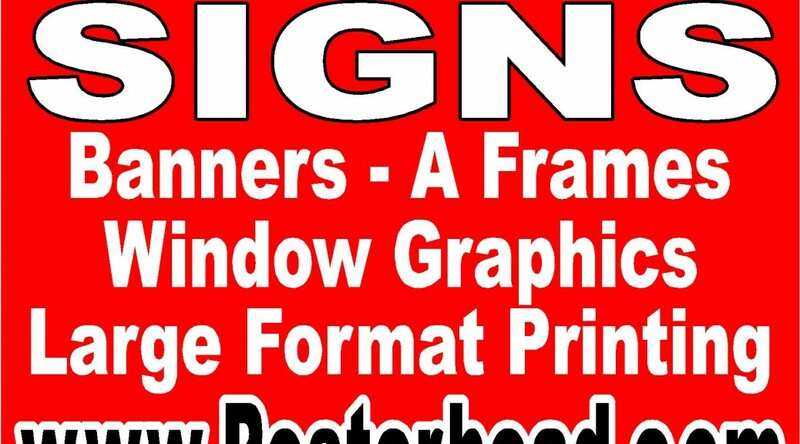 Las Vegas area sign companies can make custom no trespassing signs NRS 207.200 rather quickly. The signs are generally made out of woo or aluminum as they tend to last a long time. Contact a local sign store to purchase your custom made no trespass signs. 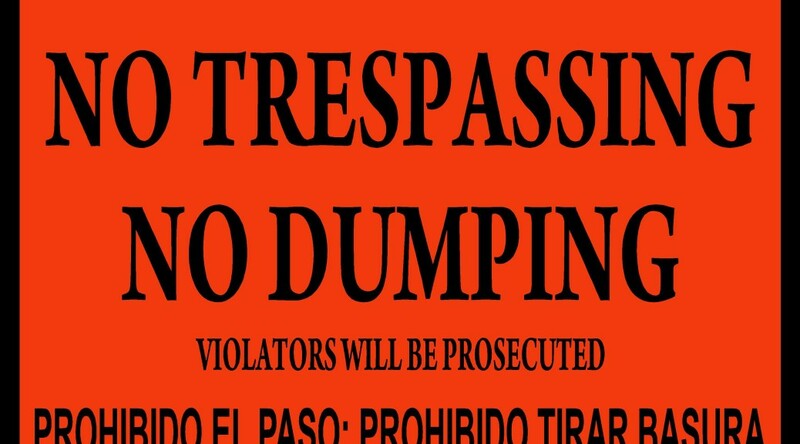 February 21, 2019 Robert W.
Clark County Las Vegas no trespassing signage is needed on vacant land, construction sites and other buildings to deter vagrants and bums from meandering onto your property and taking up refuge. With the huge homeless problem in Las Vegas, Clark County Las Vegas no trespassing signage is needed for deterrence and legal reasons. The Las Vegas Police Dept. cannot enforce no trespassing laws unless the property in question is posted with the correct no trespass signage. 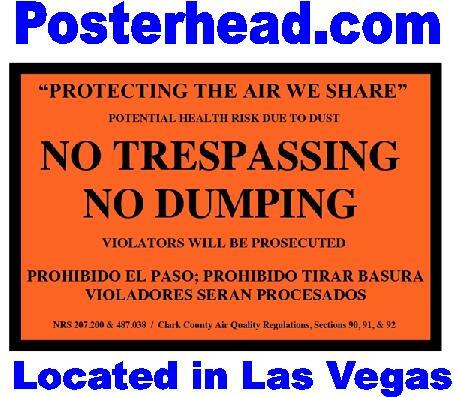 Clark County Las Vegas no trespassing signage also includes the Nevada Revised Statutes Code section NRS 207.200 relating to no trespassing and also the Clark County no dumping sections relating to unlawful dumping of trash on property. Again, this is mandatory if you wish to have enforcement of no trespassing or no dumping on your property. Many contractors place these brightly colored orange signs on the construction sites to prevent people and vagrants from coming onto the property after hours and pilfering materials, vandalizing or dumping unwanted items. These cheap and inexpensive no trespassing signs can also possibly relieve the contractor of liability if someone should enter the property unlawfully and get themselves hurt by tripping or injuring themselves . With increasing liability in today’s society, it makes economic sense to place these brightly colored orange Clark County no trespassing signs on your property notifying people they are trespassing or illegally dumping. Many times bums and vagrants will enter vacant land or buildings and make it a residence and establish themselves with tenant rights and in order to get rid of them, you have to have legal proceedings against them to force them to leave at a high monetary cost. Clark county Las Vegas no trespassing signage is cheap and inexpensive. it can be purchased locally in Las Vegas at area sig stores. Look into no trespassing signs as a way to protect you and your investments. Las Vegas cheapest flyer printing is available to the public and businesses. Paying a lot of money for retail flyer printing is not necessary when you can buy wholesale flyer printing right here in Las Vegas. There are a couple of very large printers with million dollar equipment that can make those cheap flyers, cheap postcards, cheap brochures and other cheap printed material. Truth be known, many of the businesses that you buy from now, buy direct from these big printers and mark it up to retail. Las Vegas cheapest flyer printing can get you those 1/4 page flyers, 1/2 page flyers and full page flyers at a discount price. The measurements for 1/4 page cheap flyers are 4.25″ x 5.5″, 1/2 page cheap flyers are 5.5″ x 8.5″ and full page cheap flyers are 8.5″ x 11″. Las Vegas cheapest flyer printing is used by both businesses and charities in Las Vegas. Many times charities have an event or show and need flyers to promote that show and cheap flyer printing is great for them because they can get their flyers at a substantial discount. Businesses love Las Vegas cheapest flyer printing because the flyers are an old school way to market. In todays challenging economic times, flyers and other printed material are a lot less expensive than internet advertising , direct mail, or television ads. Simple flyer distribution at places where many people go is bringing lots of positive results for businesses. In fact, one Las Vegas fast food hamburger restaurant is passing out flyers in a mile radius twice a month to everybody surrounding there restaurant with great results. They us a two sided flyer, one side with there menu and the other side with a coupon or food special to entice the people along with restaurant location and contact information. They use employees and kids to distribute the flyers door to door. February 17, 2019 Robert W.
Vehicle signs and decals is a cost effective way to promote your business. Vehicle signs and decals are cheap in price, can be self installed and will last a long time on a vehicle. Every time that vehicle is driving the streets of Las Vegas, it will be seen by other motorists and get your company noticed. Many companies are now placing signs on their vehicles as a way of advertising their goods and services they offer. Signs on a vehicle can be simple or extreme. A full car wrap is where the print on vinyl and then place this vinyl over the entire vehicle and apply it ( from bumper to bumper ) Simple vehicle signs could be simple vinyl lettering or car magnets. Vehicle signs and decals work. Many self employed business people use their personal vehicle for both pleasure and business. By placing car magnets on a vehicle’s doors, the vehicle automatically becomes a business vehicle. ( Vehicle Magnets cost around $30 for a set of two 12″ x 18″ custom magnets ) When business is over, the magnets are taken off the vehicle and it becomes a family car. In fact, many homeowner associations will not allow vehicle signs when parked in a HOA environment. Most companies that want to advertise on their vehicles will use a combination of vinyl lettering and decal signs as a way to make their vehicles stand out. Simple vinyl lettering in colors contrasting the color of the vehicle along with decals is very effective. The vehicle’s windows can be printed on with a vinyl window covering that still allows the occupants to see out without obstruction and the people on the outside only see what advertisement you have printed on the window covering. Whatever you choose, vehicle advertising works and is a very cost effective way to market. February 6, 2019 Robert W.
Service truck fleet lettering and signs can be designed and printed at local sign stores in Las Vegas. Service truck fleet lettering and signs can get you the legal lettering your company needs for its fleet of trucks as well as signage to help promote your company. Fleet lettering can include your Department of Transportation Numbers ( DOT Numbers) Motor Carrier numbers ( MC # )business license number and other legal lettering required by government agencies as well as in house record keeping numbers. Service truck fleet lettering and signs can really make a service truck come alive. Most service trucks are plain with some black lettering on them as required by law, but companies can also make their service trucks stand out and get them additional business. it is not very expensive to have your company decal on the side of the service truck along with a descriptive term of what services you provide along with a contact number. There are many service trucks that are used by plumbing outfits, roofing companies or electrical contractors that will have advertising on their truck so that they can easily be identified. While on a jobsite, its not unusual for people to take notice of them and contact them regarding additional services that can be performed at their home or business. Often when a plumbing line goes bad in a neighborhood, more lines will go bad because of the age of the neighborhood. I have heard of roofers doing a re-roof of a house 25 years old and end up doing several of the neighbors houses as well. Service truck lettering and signs can be as simple as vinyl lettering or full bumper to bumper wraps and everything in between Contact a local sign company if you should find yourself in need of some signs for your service truck fleet. January 27, 2019 Robert W.
Las Vegas wholesale flyers are great for club flyers where you need inexpensive flyers because you are passing them out by the hundreds to get people to go to your club. Las Vegas wholesale flyers get passed out by the hundreds every night along Las Vegas Blvd. where young people walk up and down the street passing out flyers to tourists to get them to go to the club they are promoting. These promoters are paid based on how many responses they get from the flyers, so the promoters pass out as many flyers possible in hopes of getting the most people. Las Vegas wholesale flyers are really inexpensive , at round $160 for 5,000 double sided flyers that are in full color. These printed flyers can be various colors and also have pictures printed on them as well. Las Vegas wholesale flyers are also good for the trade shows that are held by the hundreds in Las Vegas every year. These trade shows attract millions of visitors to Las Vegas who go home with lots of gifts and literature about the various companies products and services. The vendors at the trade shows pass out flyers in various sizes ( 1/4, 1/2 and full page) to everybody interested in their products. The flyers are so inexpensive that it only makes sense to try to reach out to anybody with a hint of interest in their products. At about 2 cents each, why not try to convert a sale to everybody. These flyers can contain a lot of information as well as pictures to help support your company. Las Vegas wholesale flyers are cheap and a great way to reach out and contact your customers. From club promoting to convention handouts, take advantage of these low cost, low tech solution to promoting your company, You will be glad you did.